The 10th arrondissement has been little-known to tourists but houses hidden gems such as the Canal Saint-Martin neighborhood. This edgy working-class area is just a stone's throw from the bustling city center of Paris and is increasingly attracting young professionals and artists. This district was the target of terrorist attacks on November 13, 2015, that left 130 people dead and more than 300 injured. The Place de la République became a living memorial where people gathered to mourn. 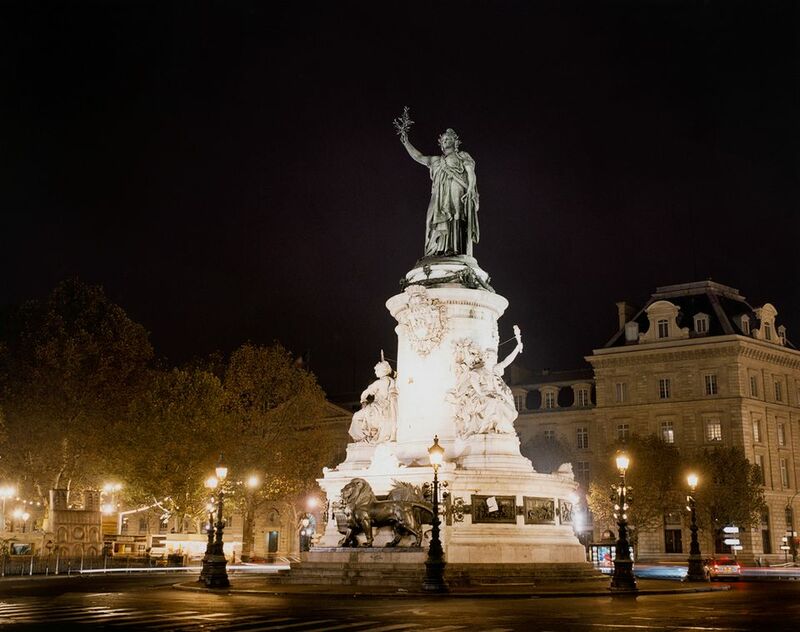 The square is built around a beautiful monument topped by a statue of Marianne, a representation of French liberty. The 10th arrondissement is a hip neighborhood, known for its cafes, progressive inhabitants, and a mix of cultures. You're as likely to see a model posing along a canal as a hipster stopping into the local greengrocer. It's an area that has been in decline but is finding its artsy, contemporary side and is worth a visit to walk the streets and see the iconic train stations. The area may be more typically Parisian that some of the more tourist-frequented areas and there is plenty to see and do while soaking up that Parisian atmosphere. Locals come in droves to the banks of the photogenic Saint-Martin Canal to picnic, strum guitars, and bask in the sun. The area along the canal is lined with cafes and quirky boutiques. On Sundays, two streets running parallel to the canal, Quai de Valmy and Quai de Jemmapes, are reserved for pedestrians and cyclists—perfect for renting a bike and seeing the city from a fresh angle. Or, you can tour the canal by boat. Small canal boats will take you cruising for two and a half hours along the calm waters of the canal, lined with 100-year-old trees and spanned by iron footbridges. The district, with its village-like atmosphere, has been home over the years to working-class families. Like many areas in the 10th, it is a vibrant multicultural district with interesting shops, bistros, and an artsy vibe. It's the kind of place where you'll sit outdoors at a cafe and watch the comings and goings on the square. In the evening, after work hours, this quiet neighborhood gets a bit busier. New Morning, located at 7 rue des Petites Ecuries, is a legendary music club in Paris, known especially for jazz and blues. It was opened in 1981. Paris train stations are worth a visit just to see the architecture. The Paris East Train Station (Gare de Paris-Est) represents the Belle Epoque generation of railway buildings. The west wing was built in 1847 with the east wing added in 1854. This beautiful station was where the first departure of the romantic Orient Express took place in 1883. The station now provides train transportation to major cities in Central Europe such as Zurich, Munich, and Vienna. Inside, you will find shops, cafes, and the ticket office. Restaurant l'Ardoise Gourmande, in the station area, is highly recommended. It is small and quiet and serves up excellent French food. The restaurant is located between Lafayette Street and Gare du Nord, next to Saint Vincent de Paul Church at 12, rue de belzunce. Gare du Nord is much busier than Gare de Paris-Est. In fact, its the busiest railway station in Europe. The Gare du Nord is the station for trains to Northern France and to international destinations in Belgium, Germany, the Netherlands, and the U.K. The station was designed by German-born French architect Jacques Hittorff and built in the early 1860s. It was designed in the Beaux-Arts (neoclassical) style of architecture. The elegant arched stone facade is decorated with statues. On the top of the building, there are nine statues that represent different cities where the original train company operated. The main statue represents Paris with the other eight depicting London, Amsterdam, Berlin, Brussels, Cologne, Frankfurt, Vienna, and Warsaw. There are 14 smaller statues representing French cities where the railway operated. The L'Etoile du Nord restaurant headed by Michelin star chef Thierry Marx is more than worth a meal. Located in the entrance hall of the Gare du Nord, the ground floor Brasserie and Zinc Bar overlooks the busy station. Affiliated with the restaurant is the adjacent Le Fournil bakery (open from 5:30 a.m. for hot croissants and coffee).